This is the perfect sewing course for you if you are a complete beginner wishing to have a thorough introduction to using a sewing machine, learning different sewing techniques, understanding basic sewing patterns and learning basic cutting skills. 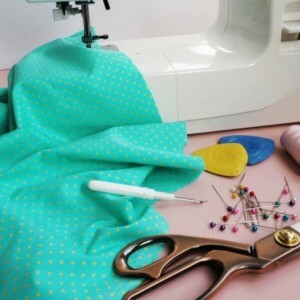 This course consists of four two and three quarter hour sessions in which you will be taken from the very basics of setting up and threading a sewing machine to making a simple A-line skirt to show off your newly acquired sewing skills by the end of it! Please note that weekend courses cover 2 sessions per day, whether weekday ones are taught once a week for 4 consecutive weeks. You can choose to use one of our machines (we are a fully equipped studio with enough machines for all participants) or you’re very welcome to bring your own if you’d like to learn to use it, but please do let us know beforehand if you plan to do this as depending on the type of machine you have, it may not be suitable for some of the projects covered on this course. So… come along, be part of a lovely small group with plenty of individual attention from the tutor, learn to sew, chat and make friends. The tea and biscuits are on us! 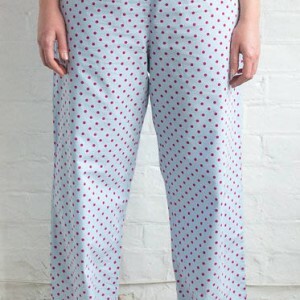 Make a fabulous cushion cover with a covered button perfect to jazz up your home or give away as a gift! Nothing! 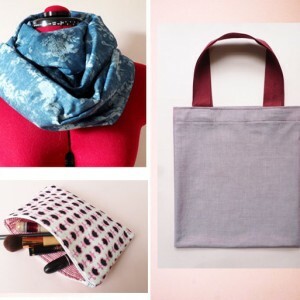 You will be able to choose from a selection of our fabrics for both the cushion cover and tote bag at no extra cost! Consolidate and build on the skills learnt in the previous sessions by taking them further with this simple dressmaking project packed with essential basic dressmaking techniques. Nothing! We have a lovely selection of suitable fabrics available to purchase during the course at very affordable prices and we also sell the necessary haberdashery needed for this project. If you would rather source your fabric elsewhere, we’ll be able to give you advice during the course, however, due to beginners lack of fabric knowledge and the often ill advice given in fabric shops, we highly recommend our carefully selected fabrics, in order to avoid having to purchase fabric a second time, due to sourcing the wrong one in the first place. 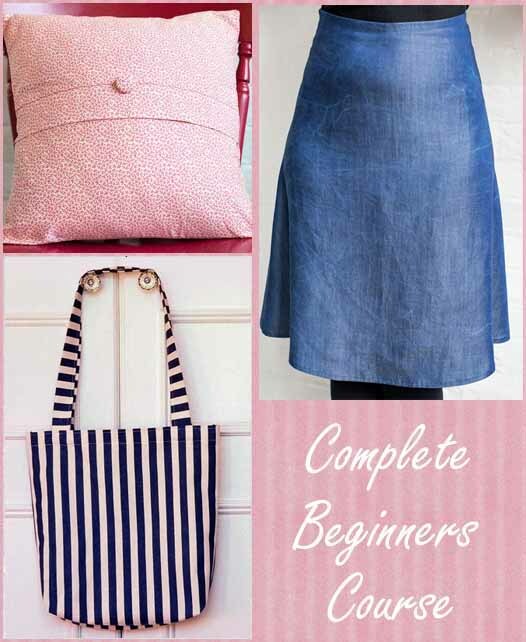 All classes include patterns and step by step illustrated instructions for each project completed so you can practice your newly acquired skills at home!